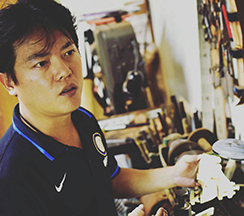 I am Haung Yu Wei, a pipe maker from Taiwan. I have made my first pipe since 2015. 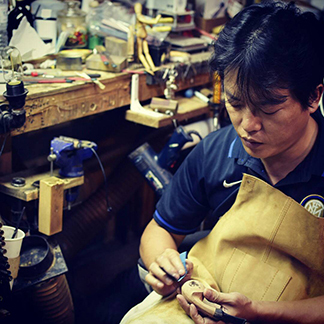 In the very beginning, I tried to repair my friends' and my pipes, gradually, I was interested in making pipes. I got relatived knowledge of pipemaking from various websites and discussion groups in USA and China. I like to discuss with other pipemakers or pipe fans and talk about making pipes. For making better pipes, I went to CHICAGO PIPES SHOW twice to observe the most wonderful pipes and consult with those success pipes makers in person, and get valuable suggestions. The briars of my pipes are all from Italy and Ebonite stem from Germany. I like to use my imagination and my own way to design my pipes and make them look beautiful.